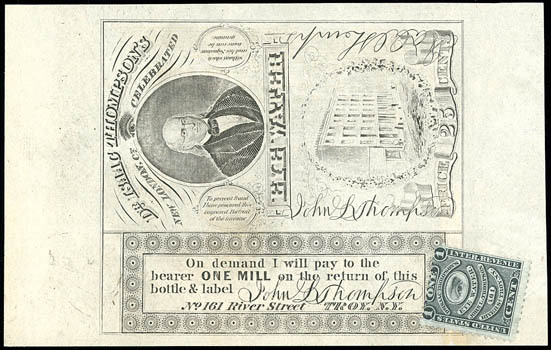 Thompson, John L., 1¢ black, old paper, affixed to Dr. Isaac Thompson's Celebrated Eye Water wrapper; folds and sealed tear in wrapper, Very Fine. Scott No. RS242a Estimate $200 - 300.